The UK government has reached a new five-year medicines pricing deal with the pharma industry to replace the almost 60-year-old Pharmaceutical Price Regulation Scheme (PPRS). 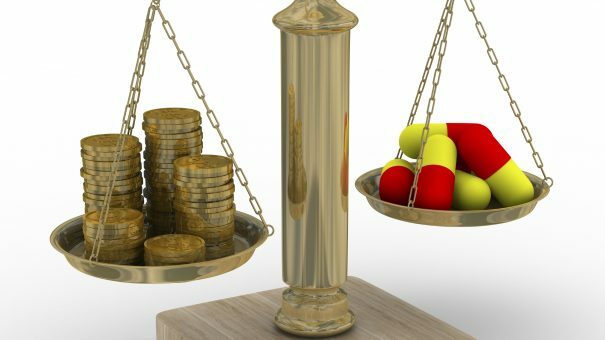 The new Voluntary Scheme for Branded Medicines Pricing and Access has been agreed in principle with the Association of the British Pharmaceutical Industry (ABPI) but still needs the details to be teased out before it can be fully agreed and come into effect from 1 January 2019, after the current PPRS expires. The headline news is that it introduces an annual 2% cap on the growth of branded medicines sales to the NHS, with any overspend repaid by pharma companies as a rebate based on their net sales. That should trim around £930 million off the NHS drugs bill in 2019, according to the heads of agreement document. In return, the industry should get “more and faster NICE appraisals for new medicines” – perhaps six months sooner than at present – as well as earlier engagement to ensure clinicians and the NHS infrastructure are ready to use them. In principle, that addresses a perennial complaint of pharma executives that the UK’s uptake of new drugs is slower than other European countries. According to ABPI figures, the growth of NHS’ spend on medicines under the last five-year PPRS has been 1.1%, which it says is a 0.4% decline after taking inflation into account, while overall NHS spending has risen 3.3% over the same period. Other elements of the deal still need to be fleshed out, but include an NHS commitment to improve the uptake and use of medicines across the five disease areas – as yet unidentified – that offer patients the greatest health gain. New active substances and “immediate line extensions” will get freedom of pricing and will be excluded from company sales for the purpose of rebate payments for 36 months from the date of licence. There will also be “significantly improved exemption” for smaller companies, according to the document, although it does not go into detail, and there will be efforts to make all four UK countries consistent on commercial arrangements. As with the PPRS, companies who choose not to be in the voluntary scheme are subject to statutory pricing controls which impose a set price cut to medicines. The terms of the statutory scheme have yet to be finalised, but will have a payment rate than the voluntary scheme while those opting for that arrangement will also miss out on freedom of pricing for new active substances and the small company exemptions. Richard Torbett, executive director for commercial policy at the ABPI, told the Financial Times that the industry would have liked a “better deal” but that under the circumstances of a cash-strapped health service, it “strikes the right balance”. Negotiations will continue towards a full agreement, which is expected to be published in December.